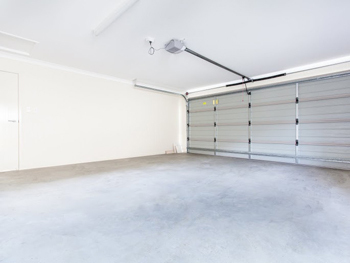 Taking steps to improve both its dynamics and infrastructures has always been in the yearly plans of “Garage Door Repair Bloomingdale”. Our company has great responsibilities since it doesn't only provide garage door services but also gate repair. We are strong as it is but the development of opener systems for both systems and the simultaneous need to cover the multiple needs of our customers as soon as possible urge us to keep improving. At the same time, we keep track of any new gate intercom system and we are practically ready to assist people in an excellent way. We fix problems with the gate force, the motor or the belt. We replace the entrapment protection device and lubricate the arm pins. As specialists in sliding gate operator repair, we make sure all parts are properly checked and fixed. We are excellent in their maintenance and will replace the existing operator if it's old or damaged. Intercoms are designed for different applications and we are masters in every gate phone entry system. We are capable installers paying attention to all specifications of the manufacturer. Our technicians install intercoms connected in the existing phone line or a separate one and are excellent intercom repair experts. Adjustment ensures good movement. We fix any problem with the hinges by repairing the welding, replacing broken hinges and lubricating the pins. We make sure hinges are tight and the sliding gate chain has proper tension. This way, we ensure stability. We check thoroughly parts in order to diagnose the real problem for the times the opener is noisy, the rollers pop off or the reverse mechanism doesn't work. We take into consideration the requirements of each system and with the assistance of good equipment and our knowledge, we manage to determine the real causes which make the mechanism unreliable or hard to move. We repair problems right away. Exit sensors sense your vehicle moving towards the exit and automatically open the gate. This is very convenient and a very useful accessory in times of emergencies. We install exit sensors with attention, following all regulations and make sure it is connected properly in the operator unit. Everyone can find shelter in our company. Whether you have a small problem with the hinges or need posts replacement, you can count on the efficiency and great skills of our technicians. We fix everything perfectly because we are dedicated and knowledgeable. People can count on our company when they have urgent issues haunting them. We arrive immediately, 24/7 and carry the right equipment for the job. Our repairmen and installers are at your service for every need. Give us a call!